Alumni Weekend is always one of the highlights of my year. Especially after my stressful finals, it is the perfect reminder of why I love Penn. 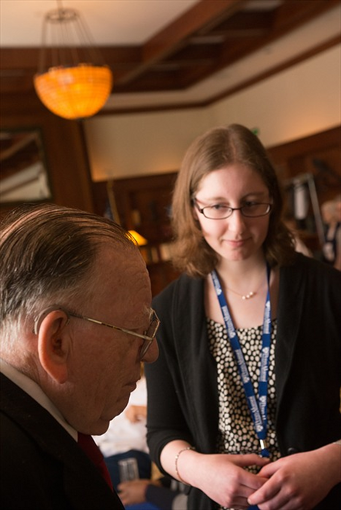 The reason for Penn’s success is its alumni who strive for the continuation of excellence. The last two years I have worked with the Old Guard Reunions (60th, 65th, and 70th Reunions). The Old Guard is the epitome of dedication to their alma mater. 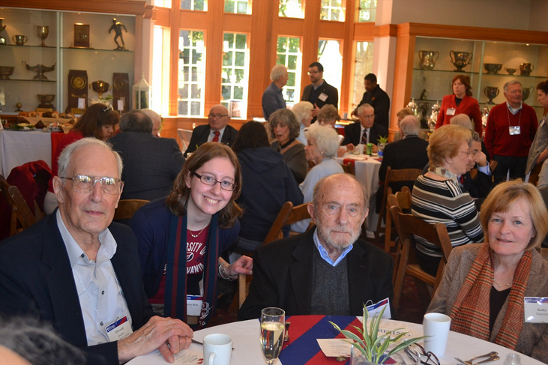 I am amazed by their lifelong commitment and love hearing their heartwarming memories from their time at Penn. I hope that I can be half as dedicated as them. My favorite part of the weekend is the Parade of Classes. The Penn spirit is really palpable. I cannot wait to help out this Alumni Weekend and then help plan my own reunions in the future! There are so many great events going on but, I can’t wait to attend this panel; it should be phenomenal! Is success defined by your professional achievements, philanthropy, volunteering, fulfilling relationships, thriving children, or getting to level 70 in Candy Crush? How does success evolve over time? When you look at the balance sheet of your life, is it filled with more joy than regret? Despite setbacks, how do you define success and find peacefulness along the way? Join this inspiring group of classmates and faculty for a conversation about getting underneath one of life’s Big Questions: What is success? Join Richard Shell, Professor of Legal Studies and Business Ethics and Management, Gary Lauder, C84 W84, Randi Hutter Epstein, C’84 and Robert Wolf, W’84 for an engaging and interactive conversation.